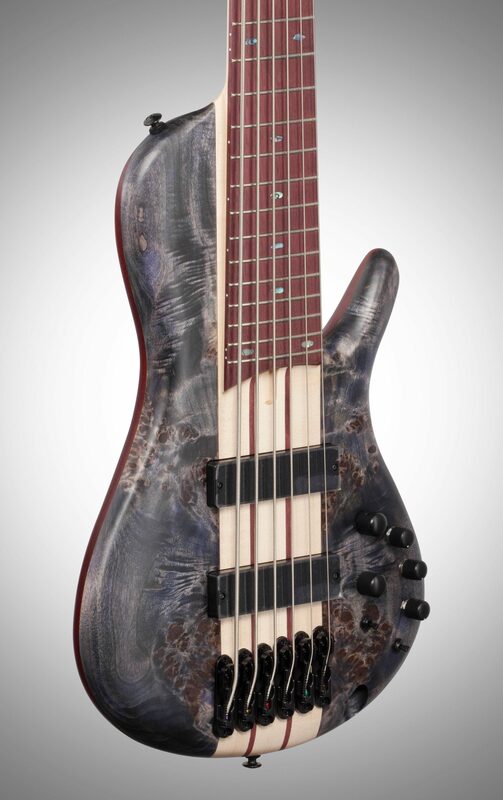 From the innovative Ibanez Bass Workshop team, comes the Ibanez SRSC806 Bass Workshop 6-String Electric Bass, "Cerro." 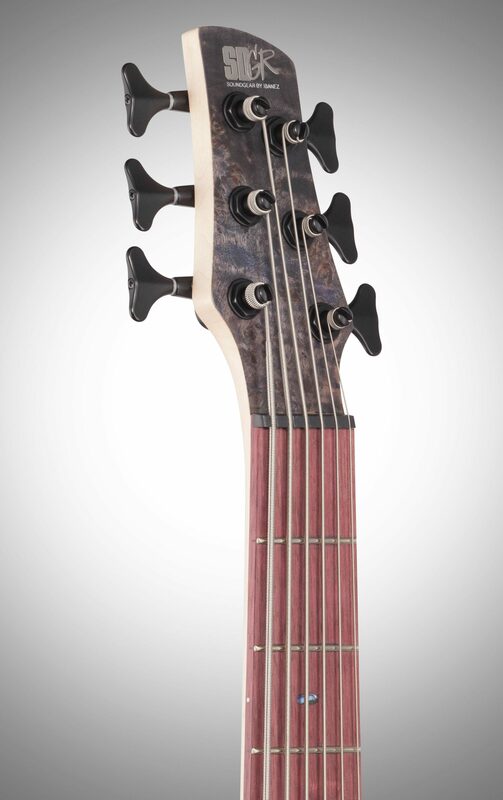 Boasting a design that integrates body to neck like no other, the upper bout connects the body to the neck all the way to the 13th fret. 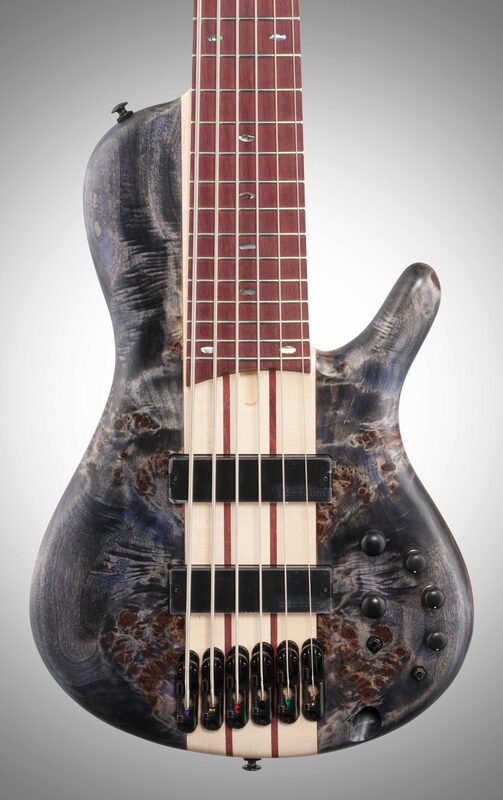 More compact than other basses of its type, the five-string SRSC806 requires less effort to maneuver, yet still provides the unique features and tone of larger models. At the heart of the SRSC806 is a Mahogany body with a handsome Poplar Burl top shaped with the sinuous contours of the SR body style. 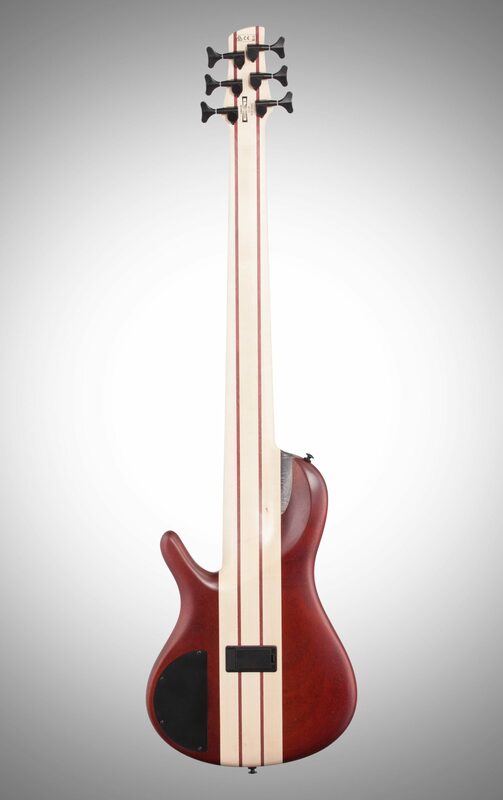 A Neck-Through SR6 5-piece Maple/Purpleheart neck with a Purpleheart Fingerboard provides a smooth, fast playing surface. 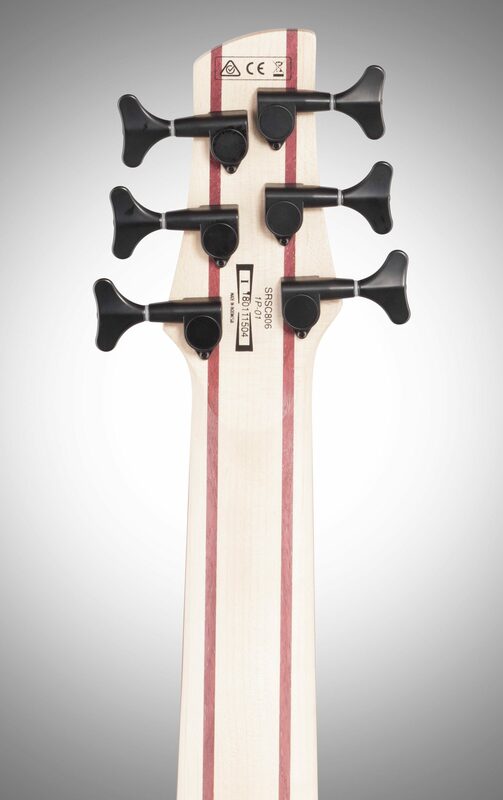 The slightly smaller extended upper horn of the SRSC806 makes contact with the neck from the 24th to the 13th fret, providing maximum stability and increased sustain. The back of the neck is sculpted for comfort and easy access to the very highest notes of the G string. 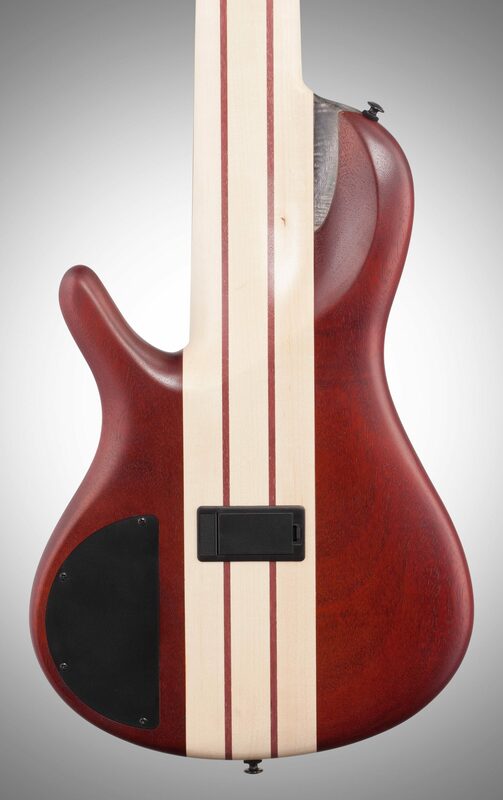 The smooth, graceful contour allows the palm of the left hand to move quickly and easily as it transitions up the neck, into the underside of the instruments body. The Mono-Rail V bridge delivers the ultimate in string-to-string isolation, allowing each string to vibrate independently with less interference from sympathetic vibration. 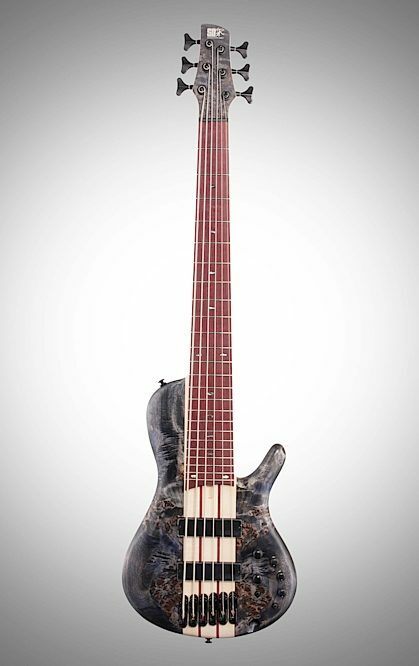 The full, clear tone of Bartolini BH-2 pickups provides a tight bottom end with a mid-range that is articulate without being harsh. 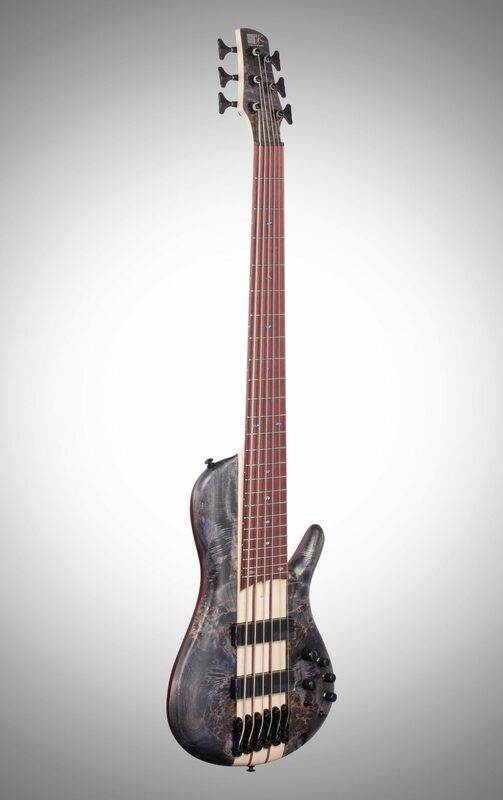 The Ibanez Custom 3-band EQ w/ bypass switch & mid-frequency switch puts a full range of tone at the players fingertips.